Sports injuries occur during exercise and physical activity, and can include muscle strains, ankle sprains, fractures, dislocations, contusions, and muscle pain. Signs of an acute injury include swelling and bruising, limb deformities, reduced range of motion in a joint, inability to take weight through your legs, weakness, and pain. It has been estimated that, in Au stralia, sports injuries are costing our community $1.5 billion annually. In the 15-29 year age bracket, the most common sports causing injuries are Australian rules, netball, cycling, cricket, basketball, and dancing, while the most commonly injured areas of the body are the hand and fingers, wrists, ankles, knee, and shoulder. Many studies have suggested that up to 50% of sports injuries are preventable, and there are some simple ways to do this. Mouthguards: For sports that involve heavy or possible body and ball collision, mouth guards should be worn. Considering that 13-39% of all dental injuries are sports related, mouthguard use is vital in preventing this from occurring. Many studies have shown that the most effective mouthguards are those that have been fitted by a dentist. Shin Guards: For sports where kicking is involved, shin guards should be worn to prevent contusions and abrasions to the shin area, especially in soccer where impact from shoe studs is common. It is recommended that shin guards have a small gap between the inner shell and the shin bone to increase protection, as well as having considerable bending stiffness to avoid cracking under direct impact, and the brand that appears to demonstrate these features best is Umbro. 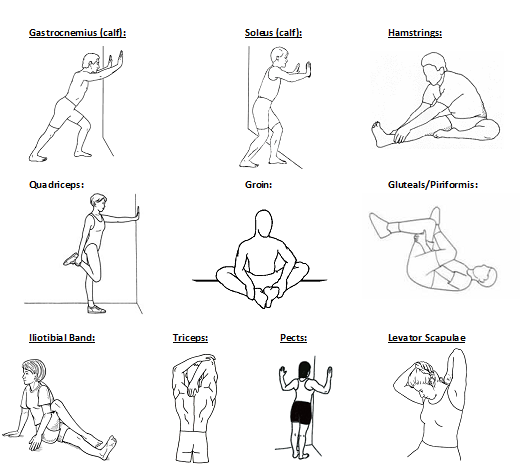 Bracing and taping of different joints of the body can aid in restricting unwanted and potentially damaging movement. There is evidence that taping and bracing can help prevent recurrence of a previous injury, however, controversy surrounds the use of these modalities to prevent a new injury. There is also controversy surrounding why bracing and taping may work: is it to do with increased sensorimotor control and awareness of the ankle, or is it the restriction of movement that it allows. At this stage, the research is unclear. One study looking at American football players using knee braces to prevent injury showed that players that did wear a knee brace during the season had an increased number of knee injuries compared with those players who did not wear a brace. 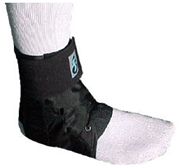 There is contrasting evidence for bracing in the prevention of ankle injuries. Much research shows that that the use of either tape or a brace may reduce the risk of recurrent ankle sprains, but that it does not reduce the rate a first time injury. Cost: It is, of course, more economical to apply a one-off taping than to purchase a brace, however, if you predict continued use, then buying a brace is 3 times more cost effective over the entire season. Time: Applying a brace is much quicker, simpler, and easier than applying tape, as you do not necessarily require another person to aid with this. Skin Irritation: When tape is being applied, the sports player must ensure they don’t get irritated skin from its use. If a player has not been taped before, they should monitor the area, ensuring that if it becomes itchy, irritated, or red, that they remove the tape immediately or risk skin damage. The application of a hypoallergenic tape, such as Fixomull, before the rigid tapes use, may reduce the incidence of this. So… what should you decide?? At the end of the day, it is a personal preference as to whether to brace, tape, or do nothing to prevent joint injuries as there is evidence both supporting and denying the benefits of its use. You can talk to our physiotherapists about the best option for you. They can help in measuring and fitting different braces, and teach you the best taping techniques. Sports players can always talk to our physiotherapists, or book in for a consultation with one of our podiatrists, if they are worried about the correct footwear for their sport. Prior to participating in your chosen sport, it is important to complete a thorough and appropriate warm-up to aid in preventing injuries. Your warm up should consist of general activities, such as jogging, dynamic stretching (stretch through the full range of motion rather than static stretching which involves holding a single position) , and resistance exercises, as well as sport specific exercises, such as kicking, throwing, and hitting. Not participating in an appropriate recovery period will put your immune system and your body at risk of coughs, colds, infection, and fatigue. Much controversy surrounds whether stretching during warm-up, cool down, and general training, is beneficial for injury prevention. It has been suggested that for sports that require periods of jumping, bouncing, and running, such as soccer and netball, require muscles to have increased flexibility and a high amount of stretch-shortening cycles. 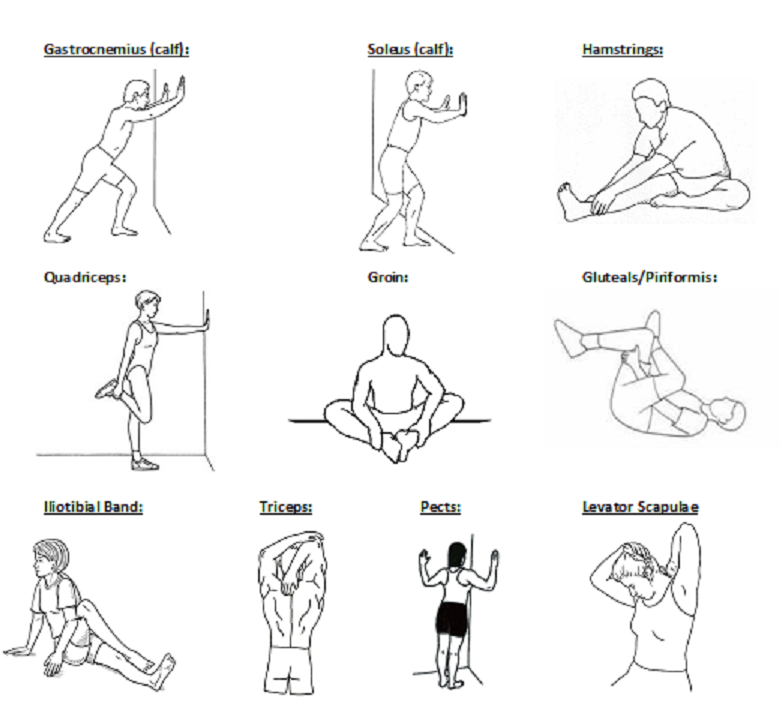 Therefore, if a player has decreased stretch in their muscle-tendon unit, then they could be at a higher risk of injury. Contrastingly, evidence is showing that when a sport does not demand high periods of stretch-shortening cycles, such as low intensity jogging, cycling, and swimming, perhaps a formal stretching program is not necessary.